Businesses in Curaçao are starting to take their responsibility by adopting more environmental-friendly solutions to daily operations. Coming from the motivation that we can all do better—that our island and future generations deserve better—companies like Landhuis Chobolobo, Curaçao Beverage Bottling Company, and Curaçao Packaging Centre are abandoning wasteful materials like plastics and foam, reusing energy with solar panels and managing waste more consciously. These are some of the companies that are examples for other companies on the island to follow. Landhuis Chobolobo has approximately 150,000 visitors yearly. In the past, every visitor that purchased a product in their gift store would receive a plastic bag. 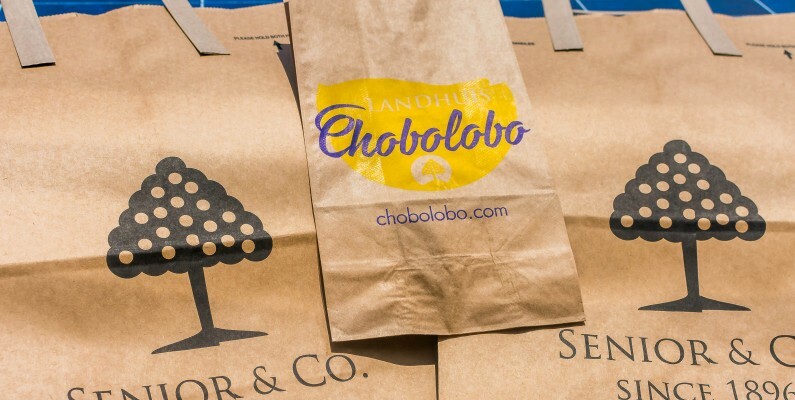 Mid this year, Landhuis Chobolobo decided to replace the plastic bags and use environmental-friendly paper bags. Working closely with Caribbean Waste Collective, all the carton waste is now being collected by Van Rumpt Recycling and shipped to recycling plants around the world. But, this is not the first time that Landhuis Chobolobo adopted a green initiative. A couple of years ago they also installed 75 m2 of solar panels. The next step is recycling their plastic tasting cups into Curaçao souvenirs. Landhuis Chobolobo is not the only company on the island to have recognized the importance of operating in a green manner. Curaçao Beverage Bottling Company, producers of among others Coca-Cola and Fria and co-initiators of Curaçao Clean-Up, has been a role model company in Curaçao in this matter. The company strives to make their daily operations as green as possible and follow strict rules and regulations. Aside from recycling all their plastic, they also have a Waste Water Treatment program where they purify their wastewater and subsequently use this to water plants around Punda. In 2014, they placed a plastic recycle container outside Mangusa Hypermarket. All the plastic that gets thrown into these containers will be shipped abroad by Green Force where they can get processed accordingly. But, there are more businesses and organizations in Curaçao that try to stimulate green initiatives on the island. Curaçao Packaging Centre has been working tightly with Green Force to promote several green initiatives. An important goal they strive for is to eliminate plastic and foam from the island, so they don’t end up in our ecosystem. They offer environmental-friendly plastic bags for business, but they also offer environmental-friendly food containers as a better solution for foam containers. In the last decade, our planet has become a topic of concern. The temperature is rising extremely fast, partly, due to the carbon dioxide and other gasses we release from our daily activities. There are already more than 2 trillion plastic bags being consumed and discarded this year and the number keeps on growing per second. Where does much of this waste end up? In the sea and eventually in our food and on our beaches. There is still a long way to go if we want to create a sustainable island for future generations to inherit, but it’s these little steps from businesses that put Curaçao into the right direction. It’s important that every party, businesses and consumers alike, assume their responsibility in this process. Only together can we make our island a little bit better each day.